Quite simply, any area in your body can be treated using this technology. As can be identified from the diagram, typical areas of excessive fat deposits can be identified around the thighs, stomach, buttocks, arms, neck and in the case of men, the chest area (gynecomastia) and a combination of the aforementioned areas. eg. to get a perfect looking lower body shape, you can have inner thigh liposuction, liposuction on the buttocks and the stomach. This would result in an amazingly shaped lower body as opposed to treating just one area. The Results Of VASER Liposuction. I had vaser lipo with Nu Me over 12 months ago. I found their prices and interest-free payment options really competitive. Above all the service was really good. They managed my expectations well and always delivered the service they promised. I was very happy with my results, at first I needed a small revision which again was done without question or issue- at no charge. I continue to use Nu Me now for various treatments due to their reliability, cost and service. I recently had Vaser liposuction with nu cosmetic clinic and my whole exp was fantastic. I was fully consulted and given a date for the surgery in their chosen hospital. Dr details were given in prior along with all aftercare instructions. Nurse was checking me continuously and asked to with special garments. Everyone was helpful. I have already recommend my friends who are really jealous of my flat abdomen and flanks. 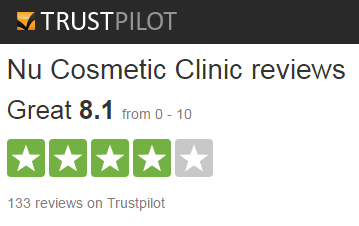 Dr Dutta has been practising cosmetic surgery since 2000 and has completed a Fellowship program in cosmetic surgery. He passed theABCS exam through the World Academy of Cosmetic Surgery. He is a member of the European Society of Aesthetic Surgery (ESAS), American Academy of Cosmetic Surgery (AACS) and World Academy of Cosmetic Surgery (WAOCS). He is an examiner for the World Board of Cosmetic Surgery. Dr Dutta performs Liposuction, Vaser Liposuction including Vaser Hi DEf, Blepharoplasty, Brow lift, Face and neck lift, Cheek augmentation, Breast Augmentation and lift, Abdominoplasty, Thigh and Arm lift, Hair transplantation (FUE & FUT).